Brands are getting major Star Wars fever ahead of the December release of The Force Awakens. 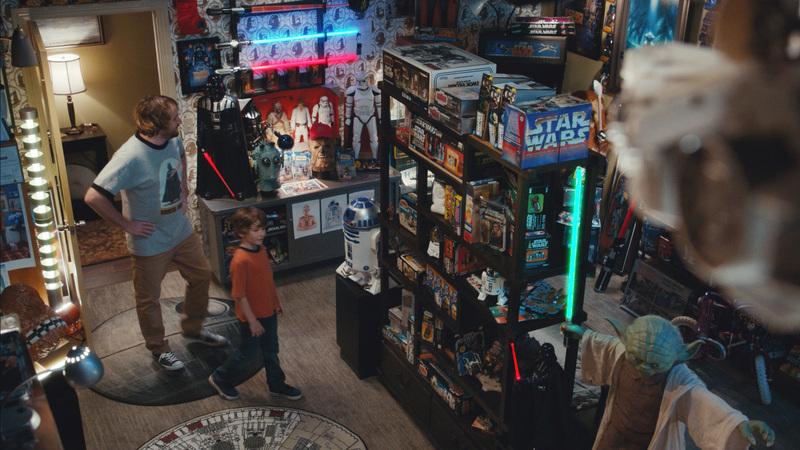 But none has gone for sheer volume quite like Kraft, which breaks a new ad Monday featuring what the marketer says is the largest Star Wars memorabilia collection ever seen in a TV commercial. 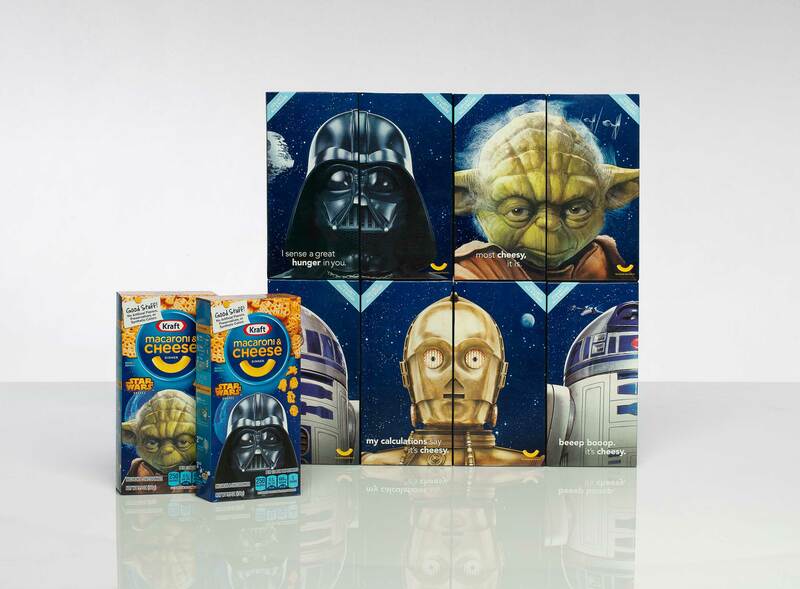 The spot, from Crispin Porter + Bogusky, is a nice way to illustrate what's being sold here: Special boxes of Kraft Macaroni & Cheese (with Star Wars-shaped pasta) that feature character portraits of Yoda, Darth Vader, R2-D2 and C-3PO. The boxes are being positioned as collectibles themselves—an assertion that's slightly more credible since individual boxes show only half a face, meaning you need at least two boxes to make a full face. 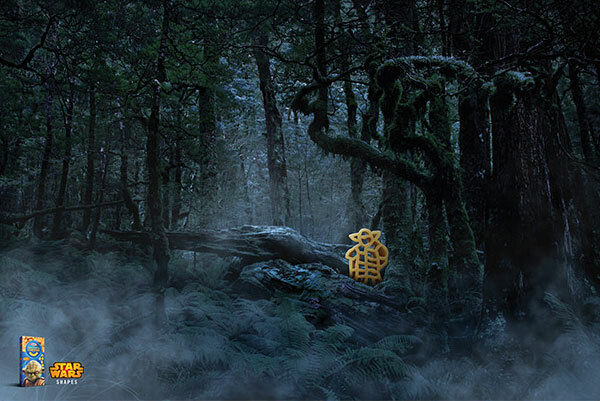 For the commercial, then, Kraft and CP+B gathered somewhat more rare Star Wars collectibles. To do so, they went to a good source—Rancho Obi-Wan, the California nonprofit that has the Guinness-Record-certified largest private Star Wars collection in the world. Rancho Obi-Wan provided more than 750 pieces of memorabilia for the shoot. The plot of the ad is cute enough. It features a dad who ostensibly owns the collection showing off the "toys" to his son, who can't understand why he can't play with them. 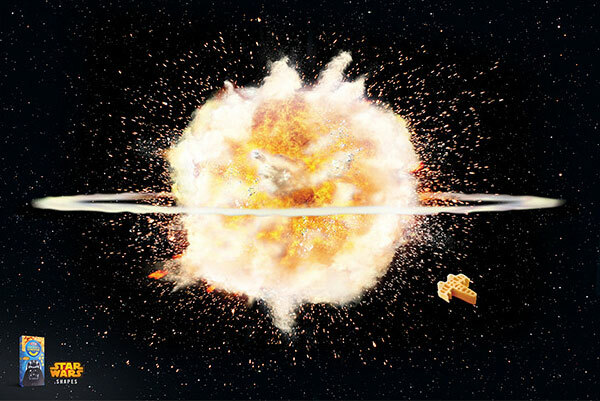 Beyond the commercials, there is also an interactive online experience at KraftStarWarsRoom.com, where visitors can click on items of memorabilia from the Star Wars room and get their backstories. 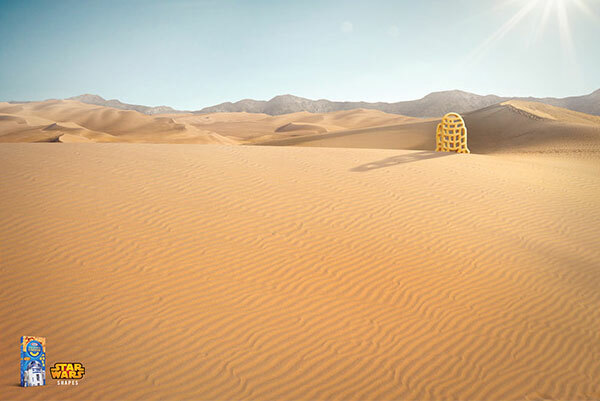 "We're bringing to life the nostalgia that many young parents feel about Star Wars and Kraft, and creating new and exciting ways to experience them together as a family," says Scott Glenn, brand manager for Kraft Macaroni & Cheese. "The Kraft Star Wars Room gives fans a new way to feed their inner Jedi with exclusive access to limited-edition collectibles housed in one amazing shrine." Also check out some print work below. Mix Company & City: Lime Studios, Santa Monica, Calif.